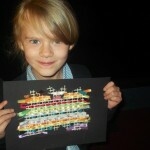 Today we have enjoyed a lovely arty morning following a very hard-working week! 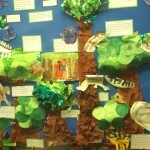 We have now completed our last rainforest display explaining what we know about the different layers in the rainforest. 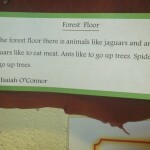 We all worked together to collage trees and paint animals to make the scenery. 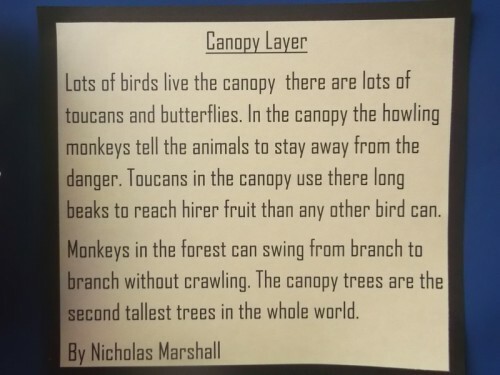 We then used our computing skills to type up a short explanation about a layer of the rainforest. 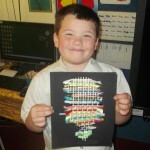 In Computing we have been learning how to open, save and print our own work. 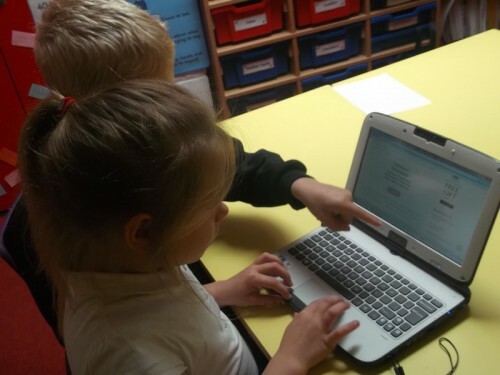 We are also beginning to learn how to use Microsoft Word. 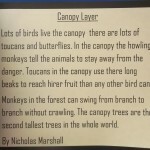 This week we practised changing the font and size of our writing. We thought it was wonderful how it could change so quickly! 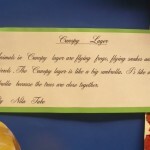 We are very proud of our display and hope you like it too. 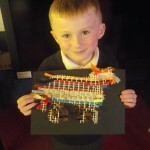 This week we​ have been very busy in school. 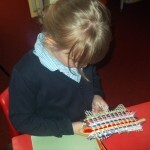 We have been learning how to weave and practising these skills by making rainforest animals. 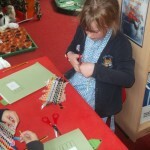 Some of us loved weaving, some of us found it a bit fiddly! However, we are sure you will agree the finished products look fantastic! 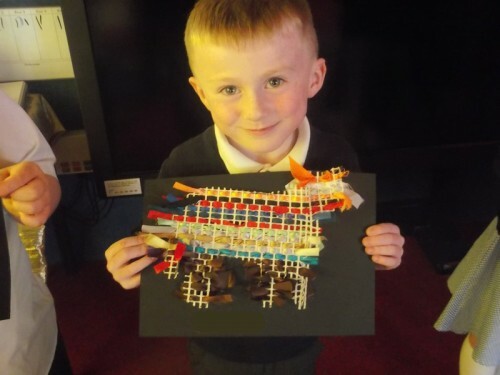 Today there was a rainstorm in Year 2… it was so loud poor Mrs Jones thought the wall was falling down! 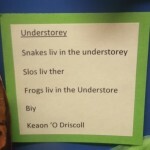 We listened to a piece of music portraying a rainstorm in the rainforest first. 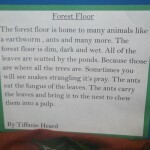 At first we thought it was a recording of rain in the real rainforest but we were very surprised to find out it was actually people! The conductor was in charge of helping everyone know what to do and when. Miss Williams then conducted us to make our own rainstorms. Have a look at our video and see what you think. If you close your eyes you can almost imagine the rain! We then had a go of conducting our row groups ourselves. It was great fun! Today we are working towards writing an explanation text later in the week. 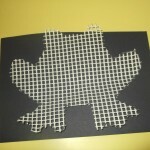 Last week we learnt about the features of explanations. We are learning facts about how chocolate is made so we can explain it to other people. 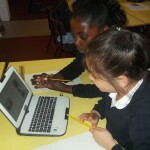 So far we have watched a short video and researched for ourselves using the netbooks and information sheets. We are becoming chocolate experts! Why don’t you ask us to explain what we have learnt so far? 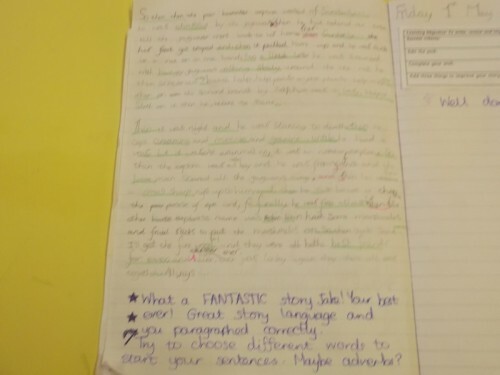 Keep an eye on the blog for our final explanation texts at the end of the week. 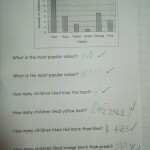 Today in Maths we practised our skills with reading data. 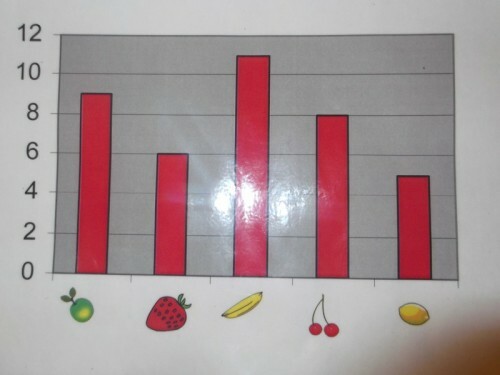 We had different graphs to look at and answer questions about. 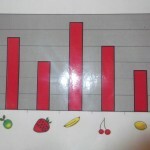 We had block graphs, bar charts and pictograms. 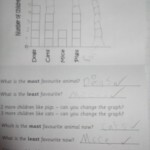 We had some simple questions like which is the most/least popular. We also had some tricky ‘How many more?’ questions. We had to think very carefully about the answers. 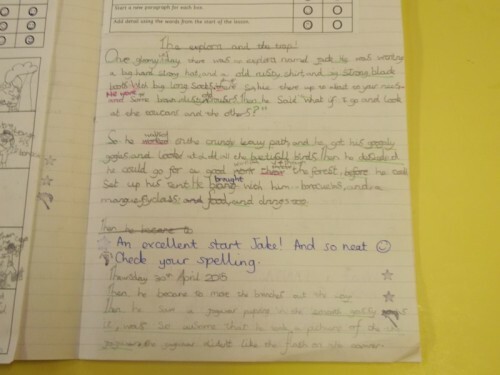 This week’s Writer of the Week is Jake. 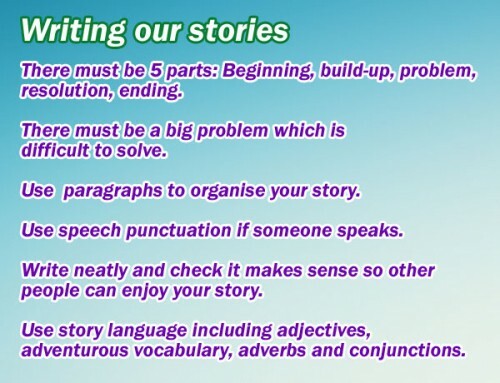 He tried extremely hard to do all these things and I am sure you will agree he is the author of a very exciting story! Well done Jake.